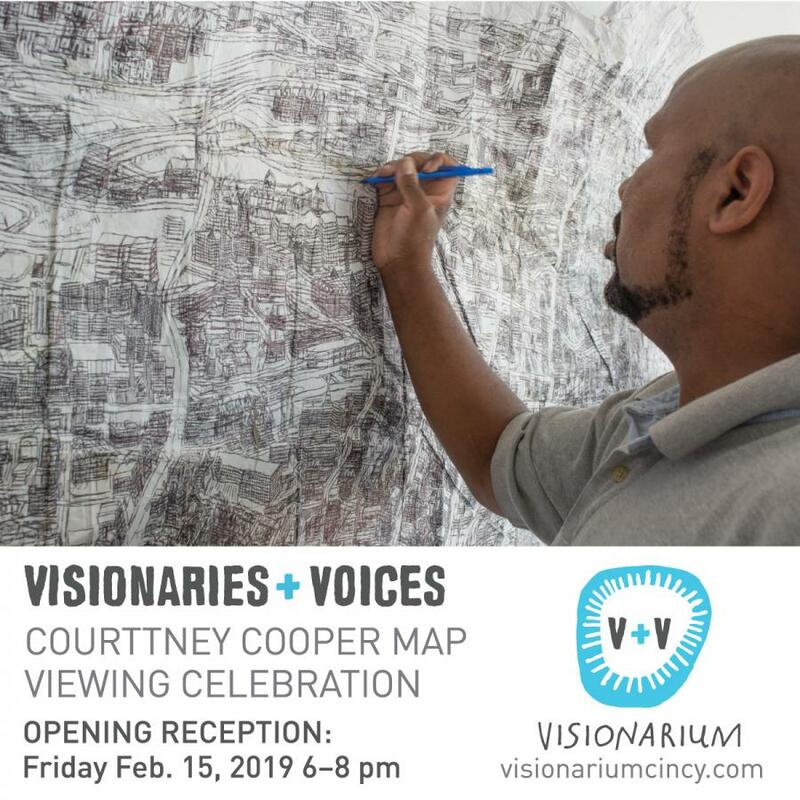 Visionaries + Voices Visionarium in Oakley will welcome the community in February to celebrate the completion of the latest Cincinnati map by artist Courttney Cooper. This particular drawing has been worked on for a year and is of the meticulous pen style that literally put Courttney on the map. The public will have the first viewing and the opportunity to celebrate with Courttney at the Opening Reception. Several other maps and Courttney’s work will be on display in conjunction with Western Exhibitions in Chicago. Exhibition runs through March 29, 2019.